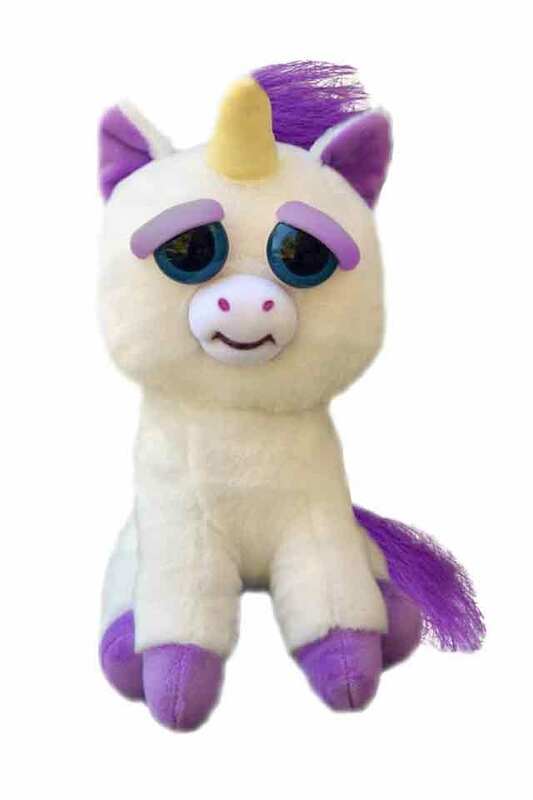 Heavenly the Dreamy Eyes Unicorn Stuffed Animal by Aurora. 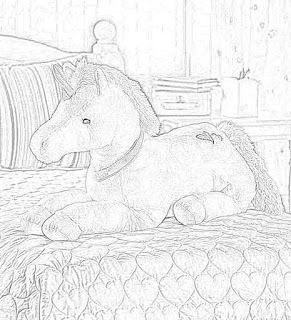 Every child loves stuffed animals. 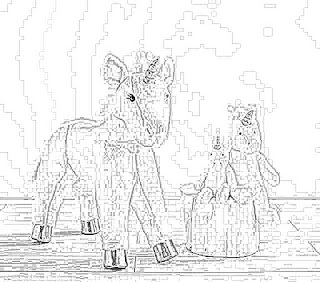 Here we have free and downloadable coloring pages of stuffed unicorns. Heavenly the Dreamy Eyes Unicorn Stuffed Animal by Aurora is a delightful stuff unicorn. 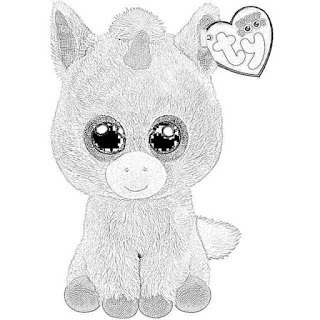 It has big, dreamy eyes, a shiny horn, and shiny feet. Fantasia Beanie Boo Unicorn Plush. Fantasia the Unicorn by Ty is a great plush unicorn for kids and collectors alike. 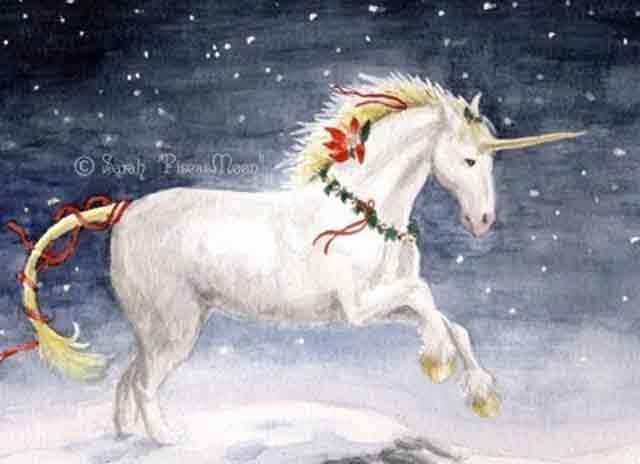 Fantasia features a smooth pink and blue coat, a gold horn, and golden hooves. 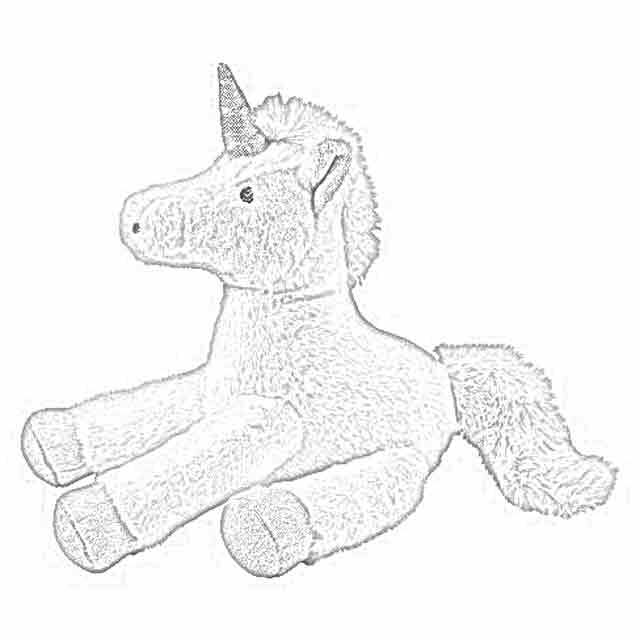 This stuffed unicorn also has synthetic beans that all it to sit upright on flat surfaces. Wildlife Artists Unicorn Plush Stuffed Toy. Wildlife Artists offer a beautiful pink plush stuffed unicorn. 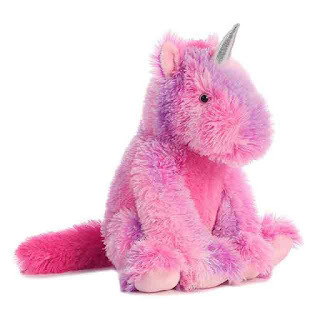 The Wildlife Artists stuffed unicorn is only in pink at the moment, but that may change by the time you read this. 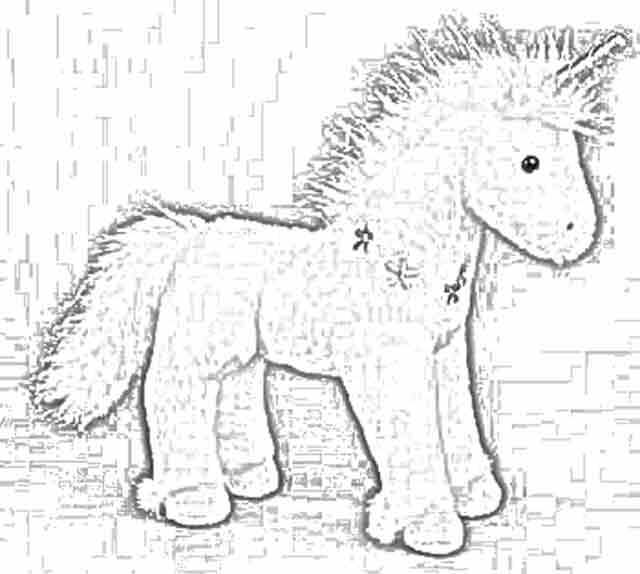 It is 10 x 7 x 3 inches. 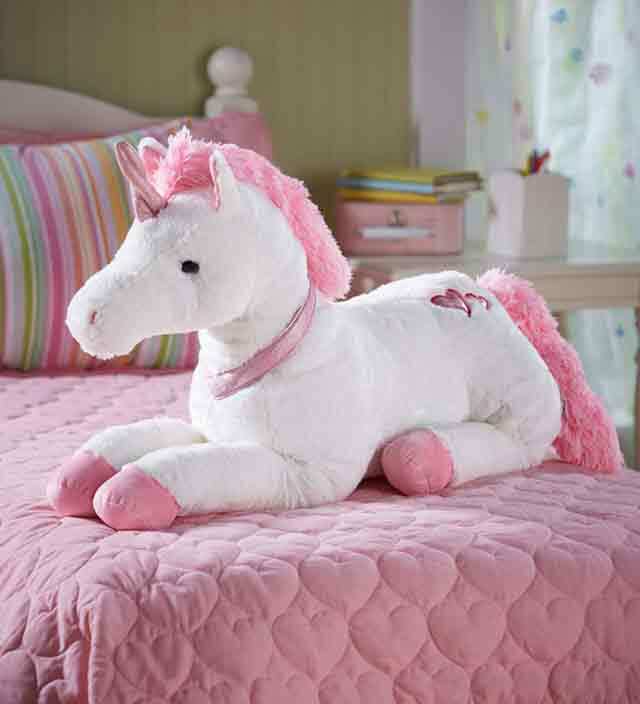 The Enchanted Unicorn from Beary Fairy Friends is a particularly colorful addition to any child's bedroom. 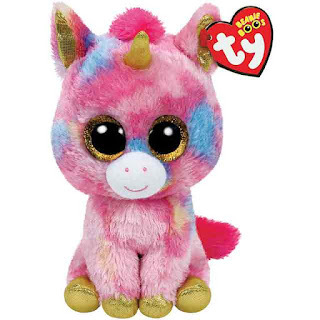 The Enchanted Unicorn has purple fur, a pastel mane, and a sparkly pink horn. 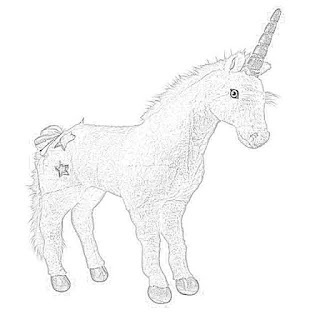 You can add other items to your Enchanted Unicorn, including scents, sounds, outfits, and wings. 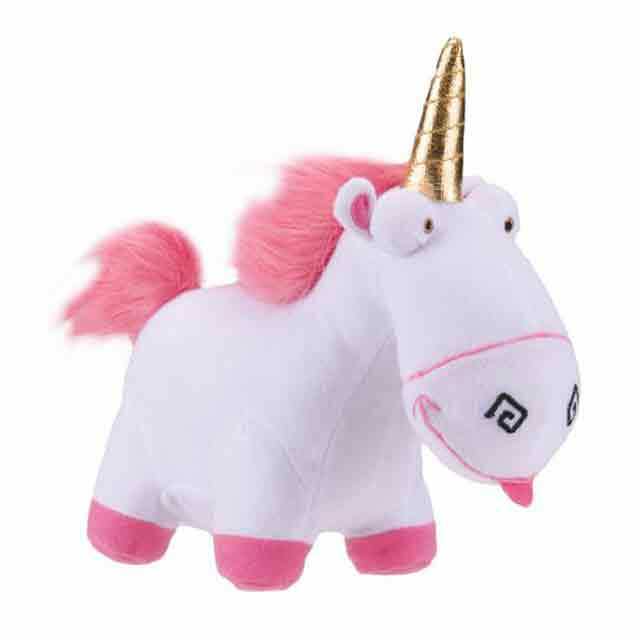 Agnes' stuffed unicorn toy from Despicable Me is a cute little unicorn. The Plush Despicable Me Unicorn is 12 inches high. There also is a 7-inch version. Lambs & Ivy Plush Unicorn - Dawn. 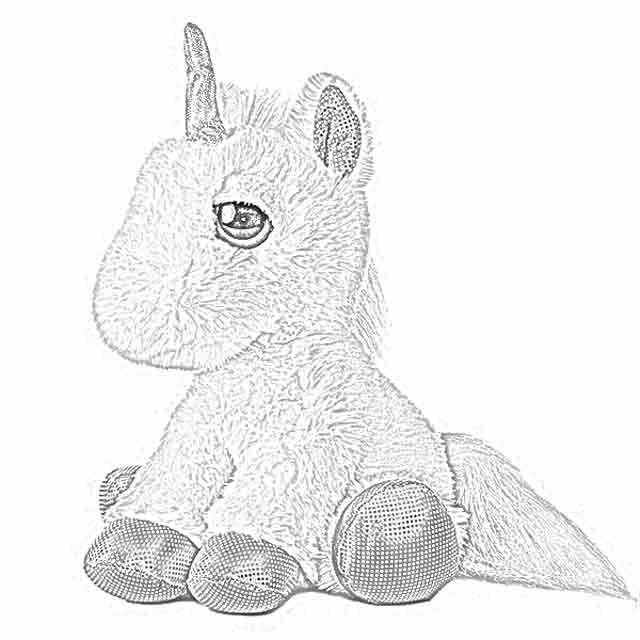 Lambs & Ivy Plush Unicorn - Dawn is machine washable and thus very practical for anyone who likes to take their stuffed toys with them to, say, school or the office. 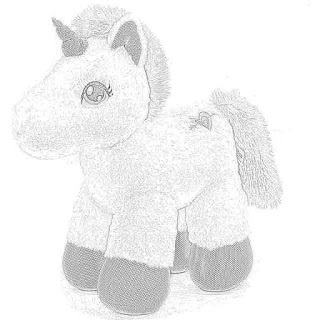 This Lambs & Ivy Plush Unicorn coordinates with the Dawn Collection and is made of soft polyester fabric. 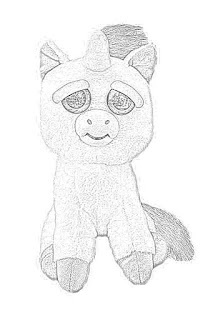 10" Unicorn Plush Toy from Starting Out. 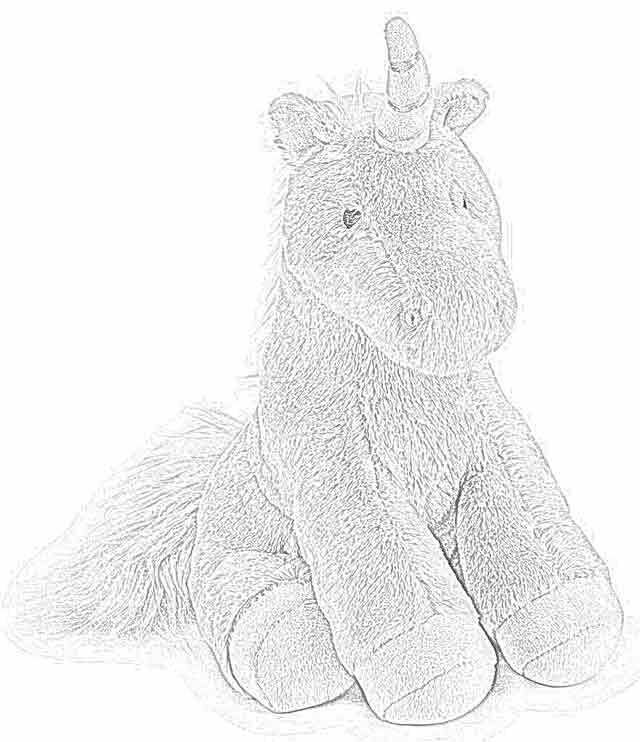 The 10" Unicorn Plush Toy from Starting out is a super-soft plush unicorn. Available at Dillard's, this plush unicorn is safe for almost everyone. 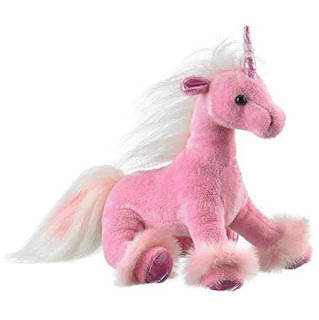 It is recommended for ages 1+, is made of polyester, and is cleanable with a surface wash.
Valentine 11.5" Stuffed Plush Pink Unicorn with Sparkly Hooves. 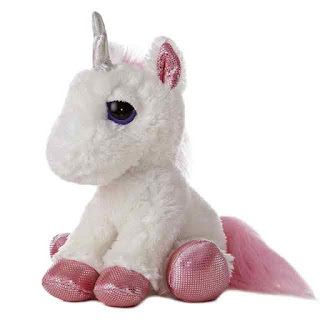 The Valentine 11.5" Stuffed Plush Pink Unicorn with Sparkly Hooves is sold and shipped by Walmart. Sold at a very reasonable cost, the Valentine 11.5" Stuffed Plush Pink Unicorn with Sparkly Hooves is perfect as a stocking stuffer. It is perfect for Valentine's Day, too, but any little girl would be thrilled to receive this. 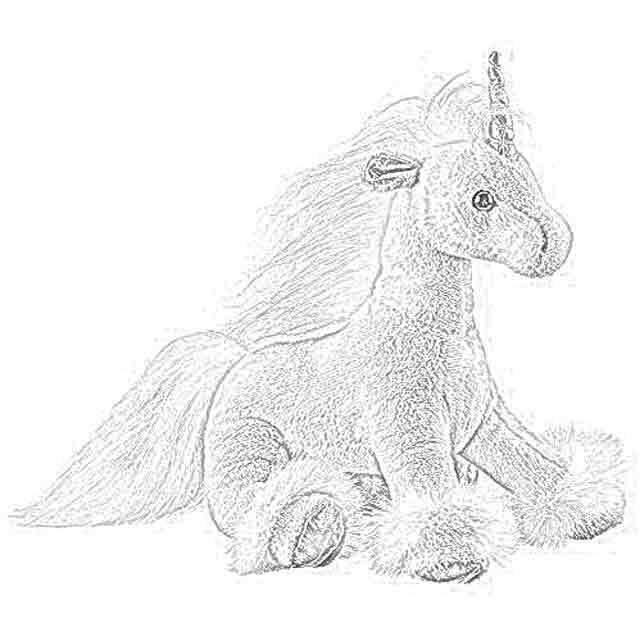 The Fizzles - Swizzle Unicorn from Aurora is a big unicorn, coming in at 12 inches. Fizzles come in a variety of bright and vivid colors. Their soft fur and outstanding presence make them adorable for every child! 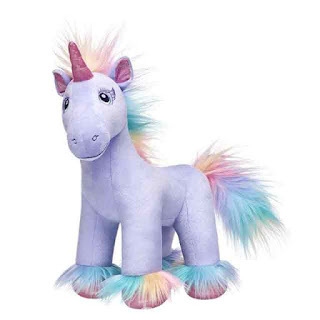 Melissa & Doug Plush Unicorn. 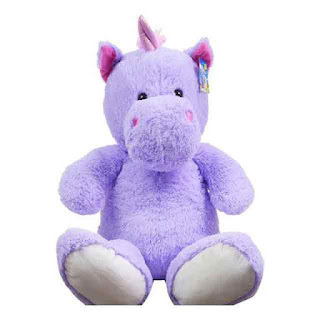 The Melissa & Doug Plush Unicorn is a very large plush unicorn that is available from Kohl's Department Store. Although larger than most plush unicorns, the Melissa & Doug Plush Unicorn is snuggly yet sturdy. 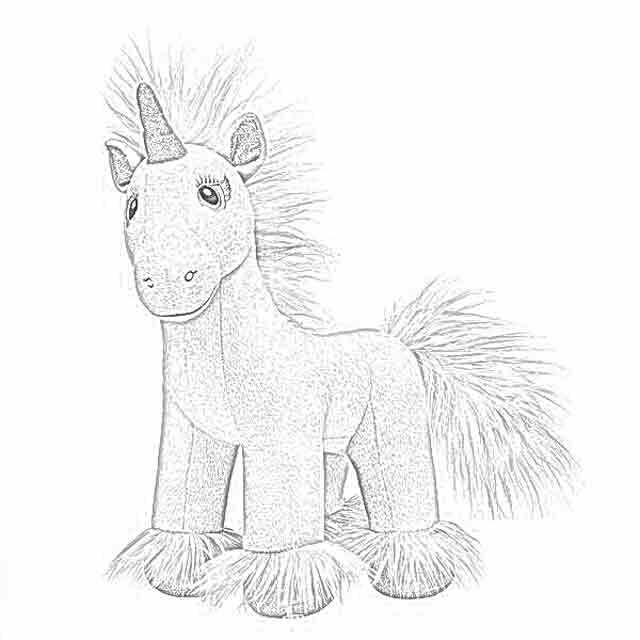 If you are familiar with the Melissa & Doug Plush Toy line, you know that it also offers a gorilla, cheetah, and alligator. 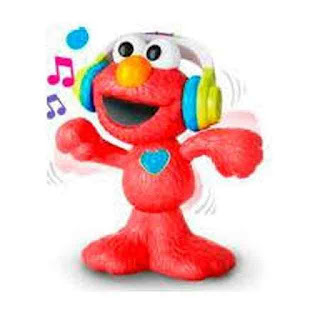 These are great for kids to use as back pillows when watching television or playing with the smartphones, too. Dazzle the Unicorn from HearthSong is another big boy. 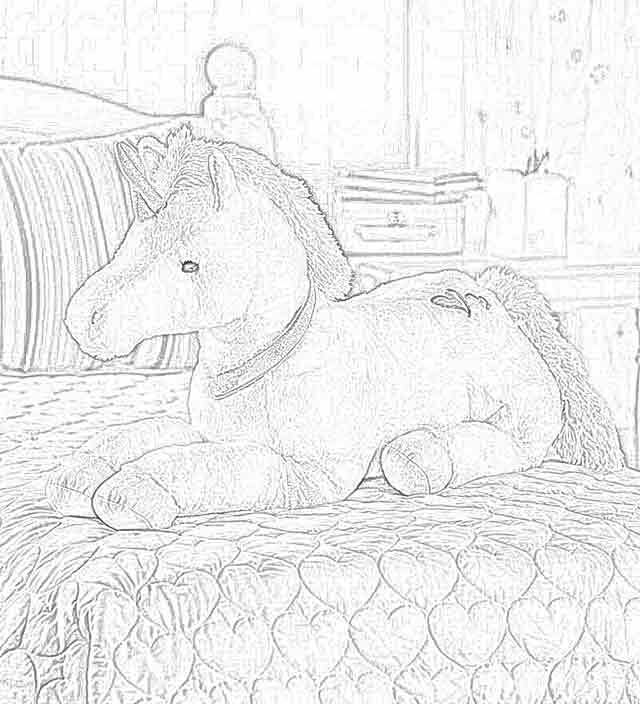 If you get Dazzle the Unicorn for the right child, they will spend hours lounging on it as they play with it or their other toys. 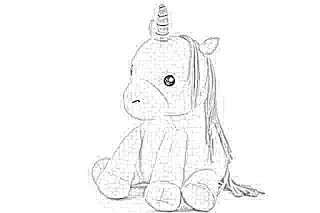 It also comes at a good price, though shipping may take a while. 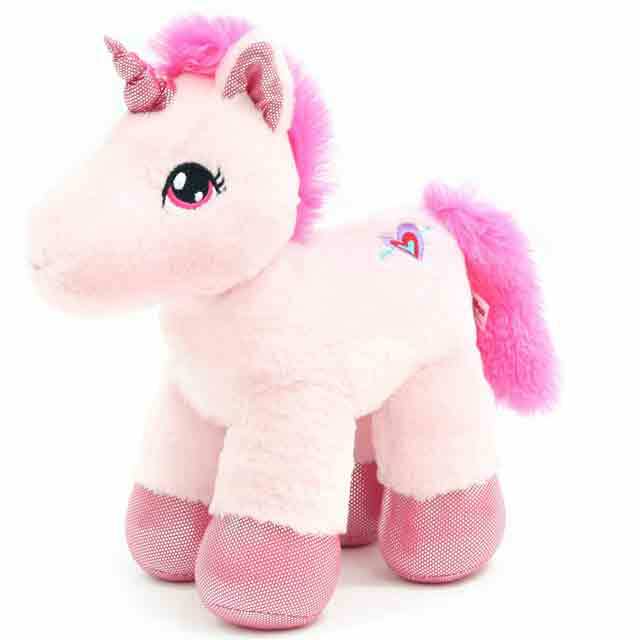 MY LITTLE PONY Pinkie Pie Sparkly Furry Friend. The MY LITTLE PONY Pinkie Pie Sparkly Furry Friend really needs no introduction. 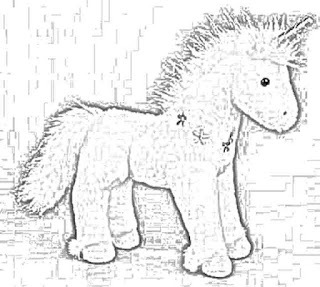 After all, everyone has heard of My Little Pony. 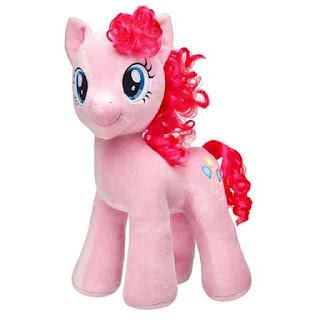 Pinkie Pie is a great little unicorn who loves to laugh. 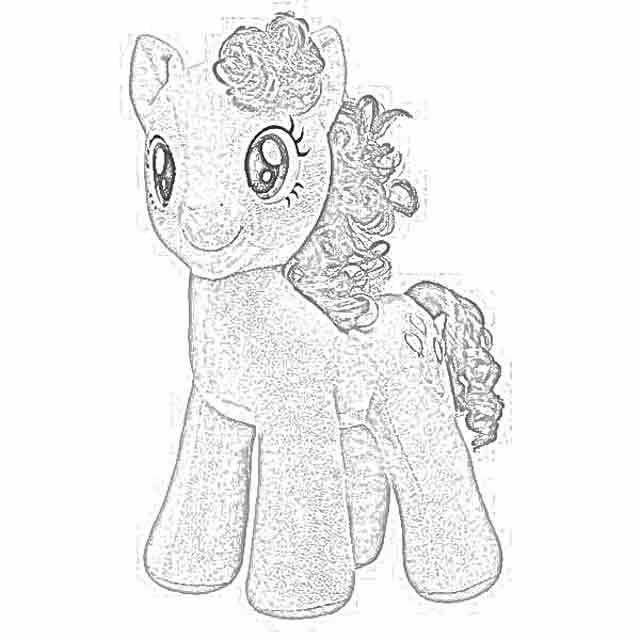 You can add little outfits and sounds to your Pinkie Pie and enjoy its sparkly goodness. This is a Hasbro toy, so you know that is of good quality. 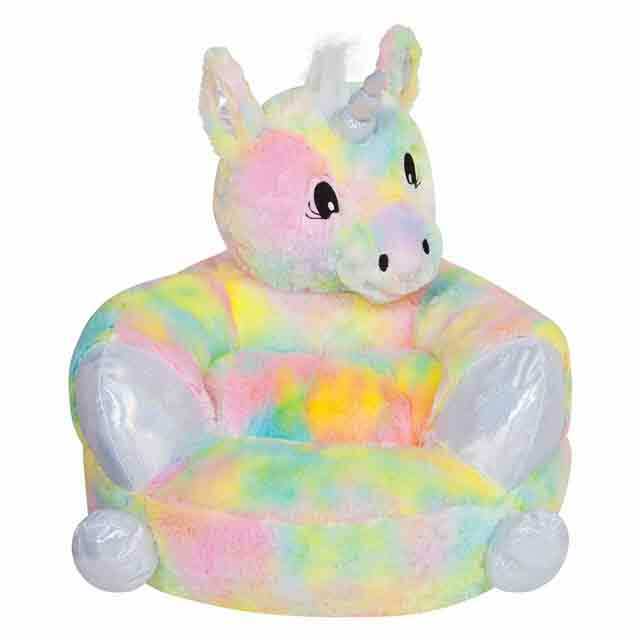 Trend Lab Rainbow Unicorn Plush Character Chair. 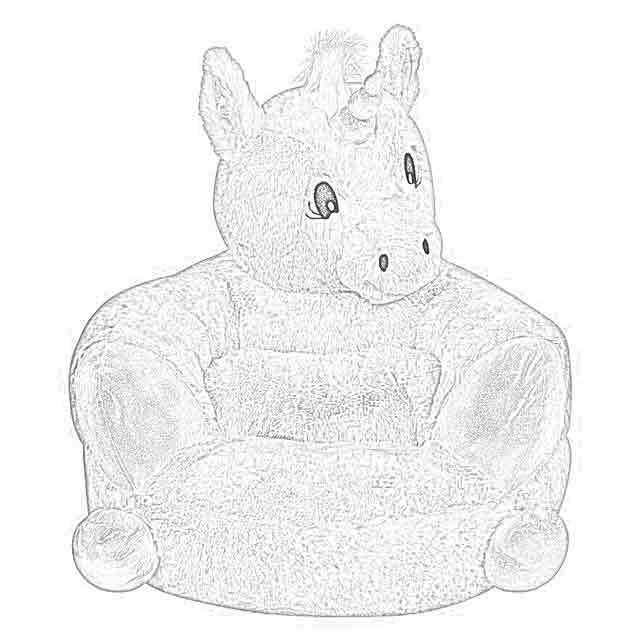 Bigger definitely is better with stuffed unicorns, and we're getting very big with the Trend Lab Rainbow Unicorn Plush Character Chair. 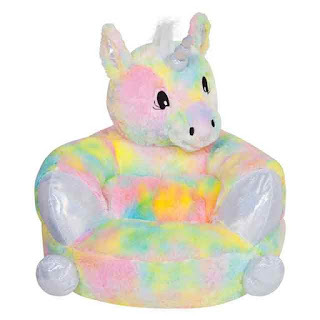 Available at Kohl's Department Store, Trend Lab Rainbow Unicorn Plush Character Chair gives that special child of yours a comfortable nook all of their own to sit and play with their other toys or read books. 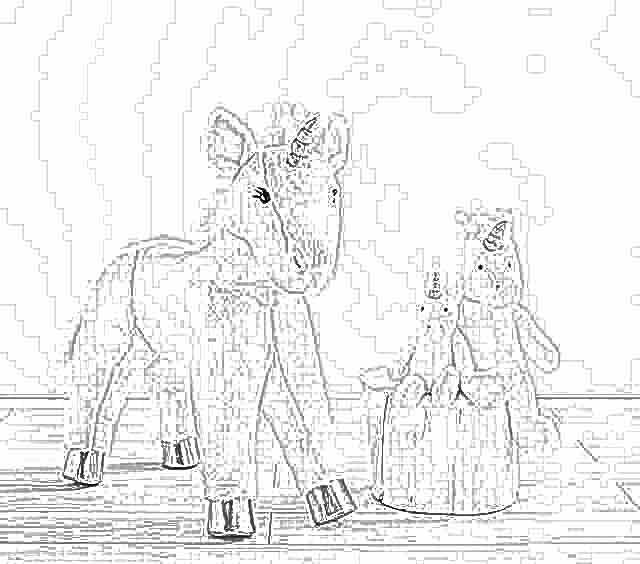 This is for ages 12 months and up. 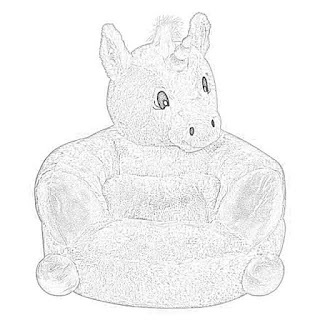 This chair enables maximum cuddling! 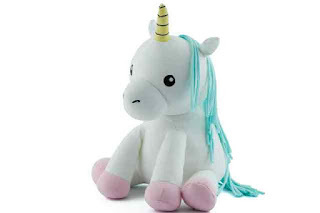 Unicorn Plush Toys from FouFit are 6 inches high. 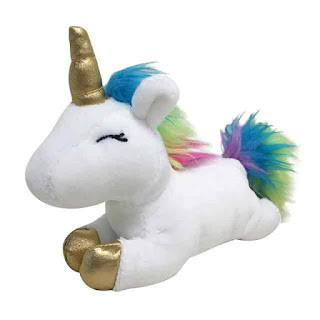 These adorable little plush unicorns have metallic hooves, a horn, and a rainbow mane and tail. 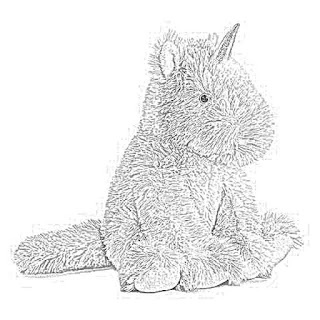 They also have a hidden squeaker to give your little one an unexpected surprise! 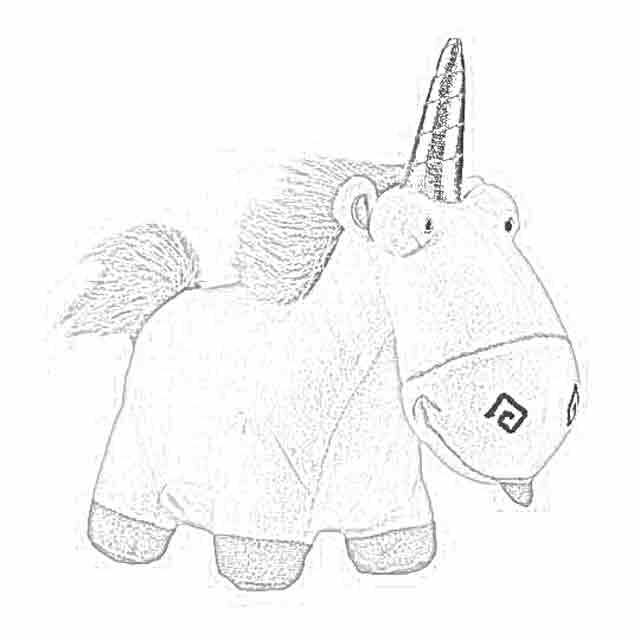 Pax the life-like stuffed Unicorn by Douglas. Pax the life-like stuffed Unicorn by Douglas is made with soft, plush synthetic fur and measures 8 inches tall. Pax is machine washable with instructions, so you can always keep Pax clean. These unicorns are hand-crafted and made to exacting standards. The price includes shipping in the United States. This is part of a large line of Stuffed Unicorns, Pegasus, & Fantasy Horses from Douglas so you can add to the collection if a certain someone really likes Pax! 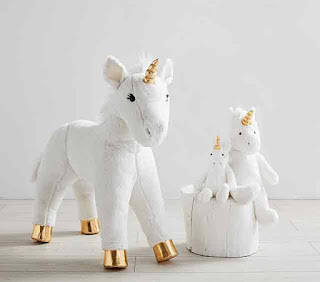 Unicorn Faux Fur Plush Collection from Pottery Barn Kids. 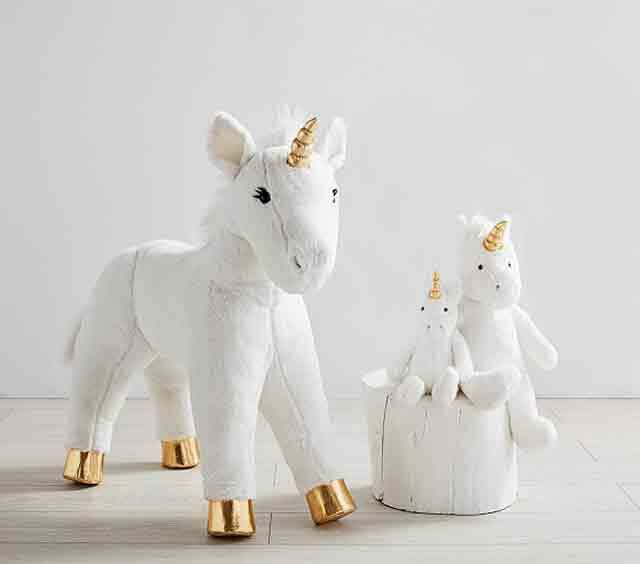 Pottery Barn Kids offers an entire line of Unicorn Faux Fur Plush toys. 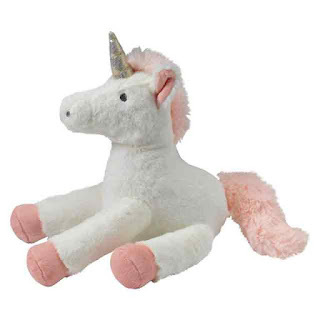 You can order a Unicorn Faux Fur Plush Collection toy from Pottery Barn Kids in Small (6" wide x 6.5" deep x 10" high), Medium (9" wide x 10" deep x 15" high), or Jumbo (32.25" long x 10.75" wide x 30.75" high). 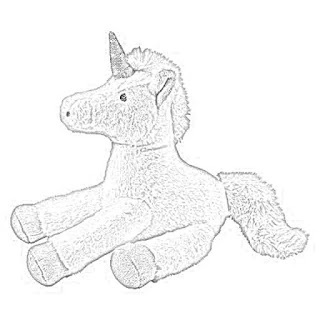 This is one of those toys where, if you aren't sure, you can get a small one and see if that works for your little one. These are suitable for all ages. 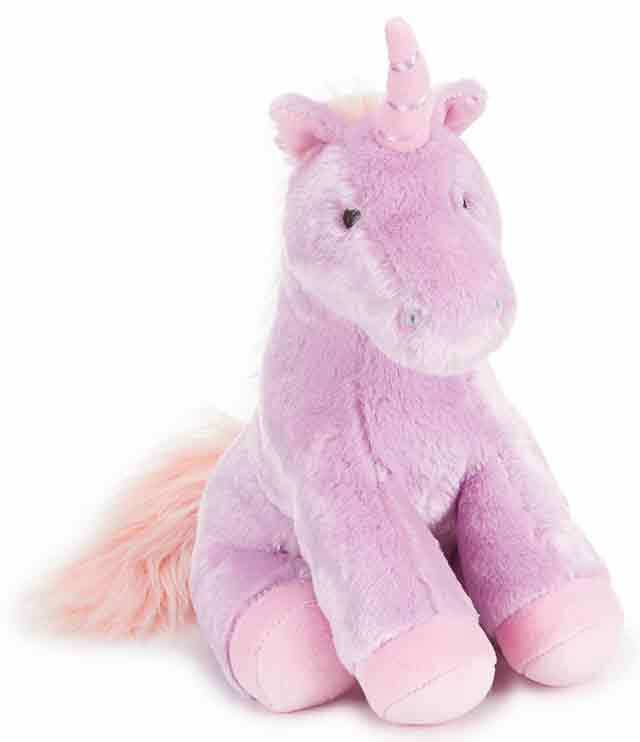 Unicorn Stuffed Animal, 40 In. - Assorted from Dollar General. Dollar General offers an assortment of 40-inch Unicorn Stuffed Animals. 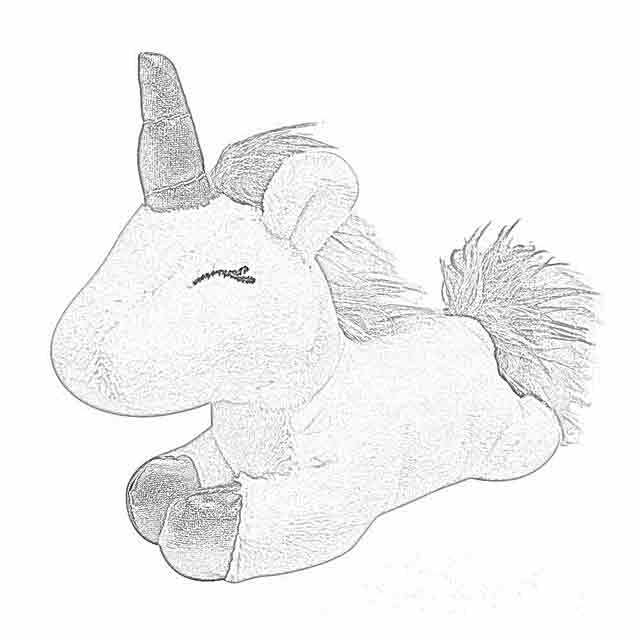 They are covered in plush and velvety fabric. 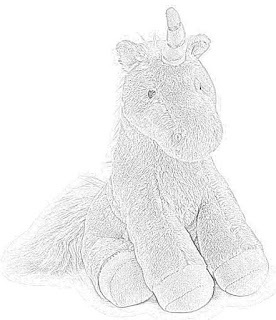 These Dollar General unicorns are available in-store only at the time of this writing. 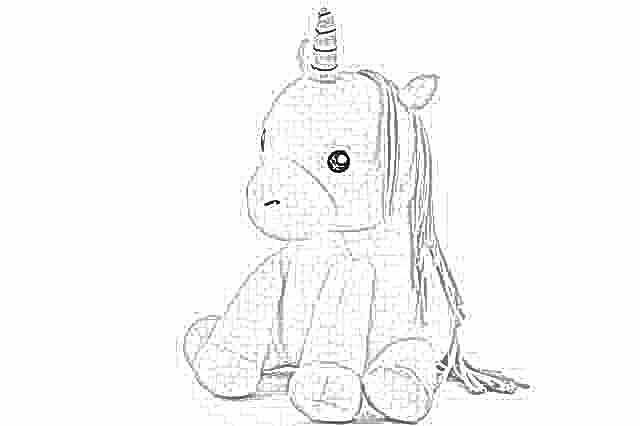 Feisty Pets Expressions: Silly- Glenda Glitterpoop. Feisty Pets Expressions has a bunch of stuffed toys. 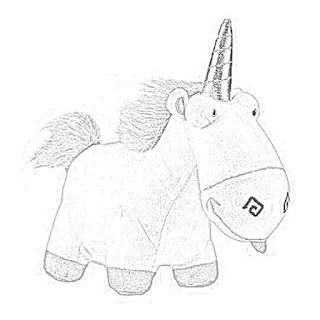 Silly- Glenda Glitterpoop is an 8.5" Plush Stuffed Unicorn that sticks her tongue out with a squeeze. 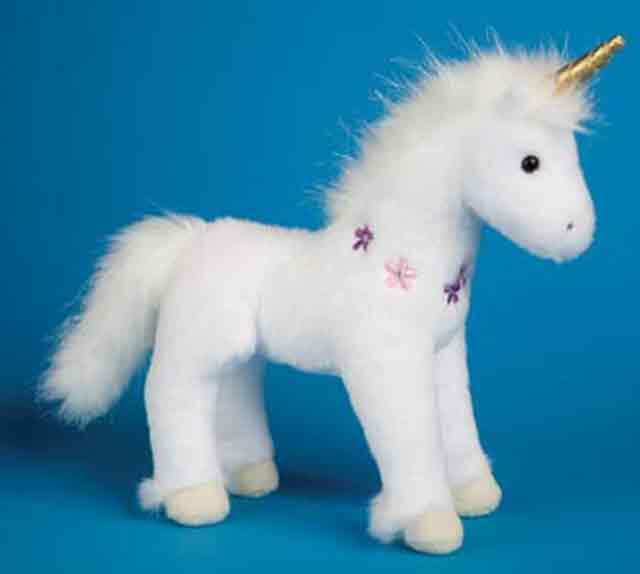 Each Feisty Pets toy has great "attitude." They change their expressions from sweet to silly! 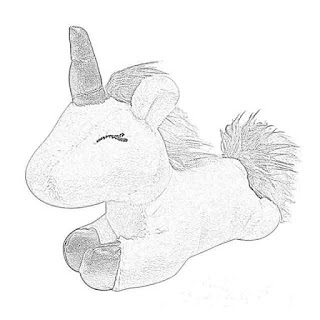 If your child likes one, why wouldn't they like the other Feisty Pets as well? 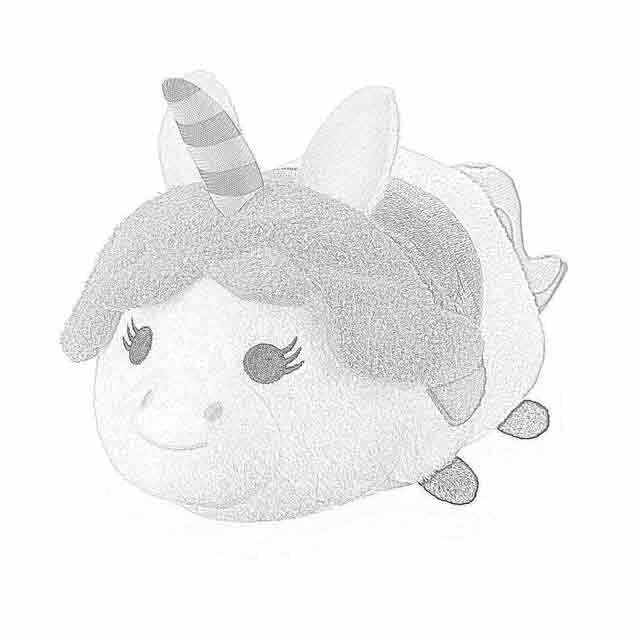 You can find these at Firefly Buys. 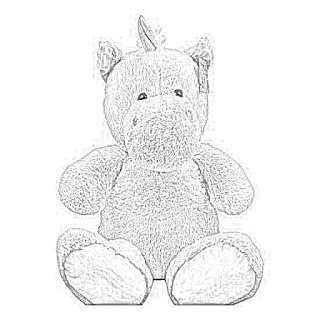 Cupcake the Unicorn from Elly Lu is made of certified organic cotton fabrics. 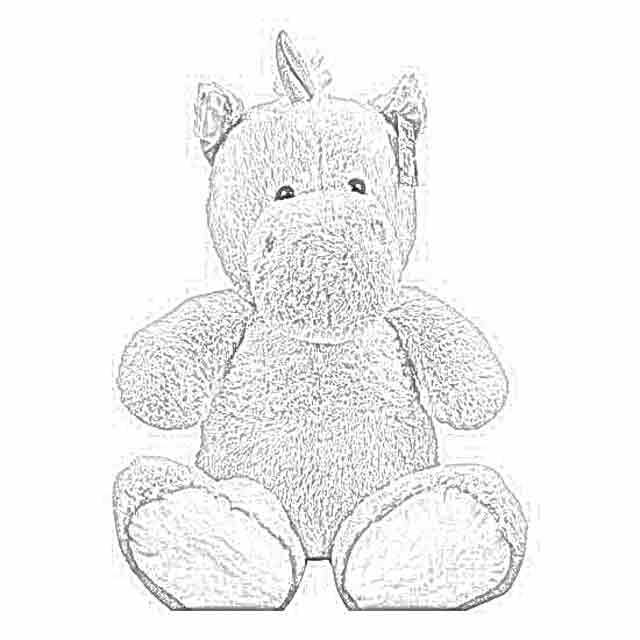 Cupcake has non-toxic dyes and is filled with organic buckwheat hulls and organic cotton. There is a Mini Cupcake (8 inches) and a Standard Cupcake (15 inches). 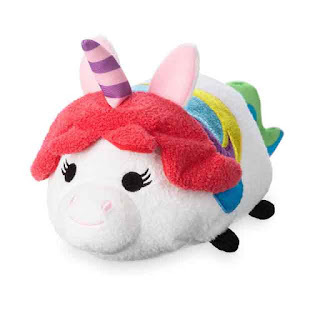 Rainbow Unicorn ''Tsum Tsum'' from the Pixar animated feature film "Inside Out" is offered by shopDisney. It is 9 1/2 inches. Little Tsum Tsum has embroidered details, soft, squeezable fill, fuzzy plush texturing, and is part of the "Tsum Tsum" Plush Collection. These are very reasonably priced and can be hard to get.